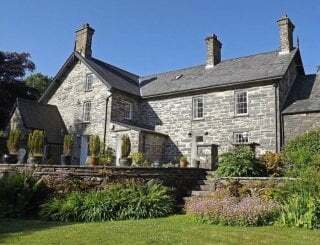 Madog's Wells, Llanfair Caereinion, Welshpool, Powys, sleeps 3-15 in 8 bedrooms. Each has space for a cot. 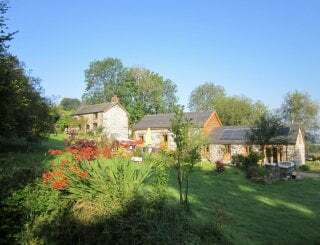 Madog's Wells is situated in a lovely rural position in Mid Wales. surrounded by nature. 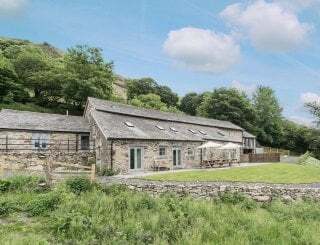 These properties make a great base for exploring Mid Wales, walking breaks and multi-generational family get togethers, with all 3 properties wheelchair accessible. 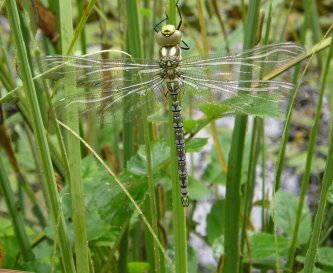 There's plenty to enjoy in the area - castles and museums, golf courses, gardens, nature reserves and traditional craft galleries. 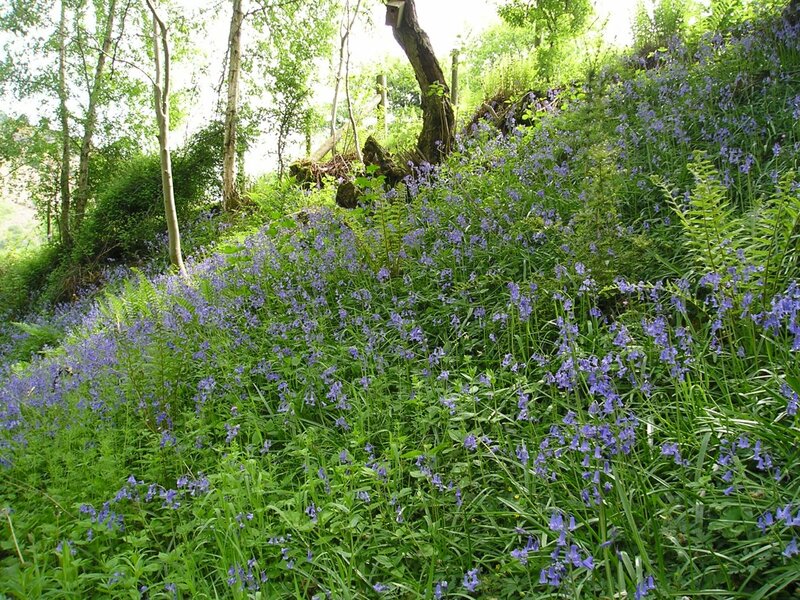 On site there's an acre of woodland to roam and plenty of birdwatching opportunities. And there's a games room with table tennis and a pool table. Outside there's a children's play area too. Wren's Nest - 1 double, 1 single, a wet room (roll in shower, basin (wheelchair room under) and a slightly raised toilet with limited grab rails) lounge diner and a kitchenette. 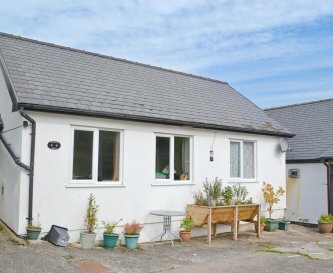 This is a small bungalow but has room for a wheelchair user to move around quite comfortably. Swallow Cottage - 1 superking and 2 twin rooms, very spacious kitchen/diner and lounge. 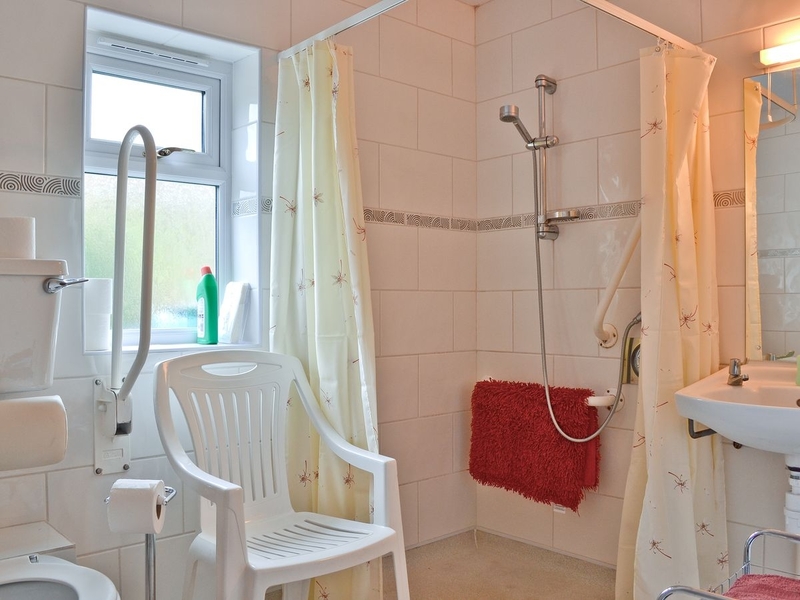 The wet room (also with a bath) is fully wheelchair accessible, and the superking bedroom has wheelchair access with room for a hoist if needed. 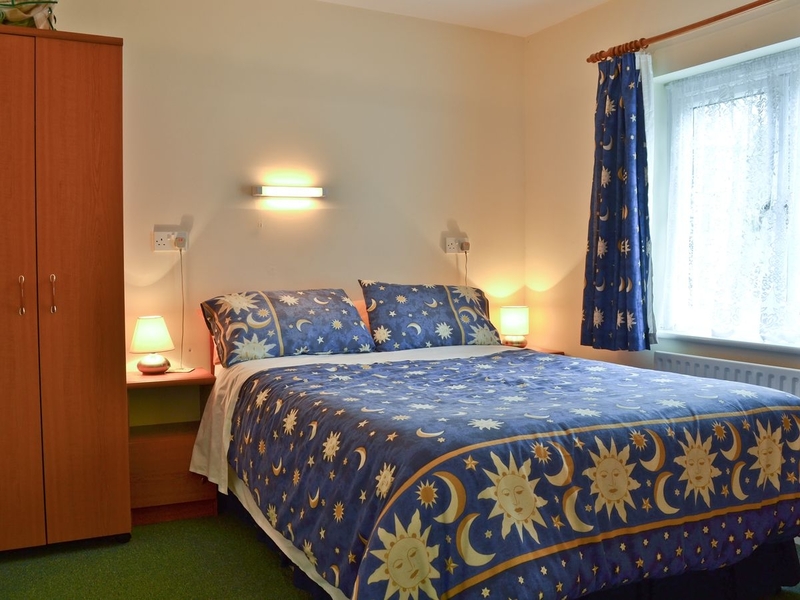 The twin rooms have wheelchair access between the beds, one also with room for a hoist. 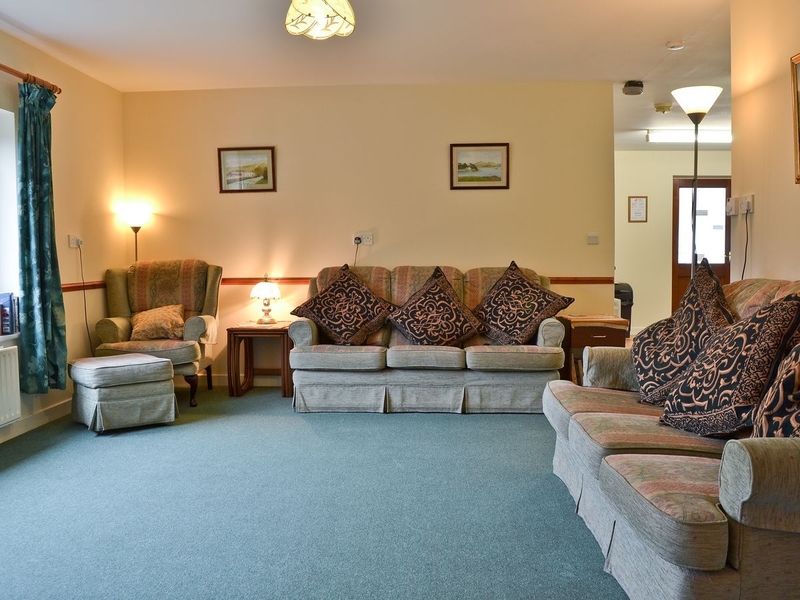 The lounge has two 3-seater settees and an easy chair with chair blocks to raise it if needed. 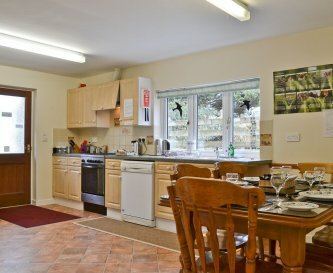 The fully equipped kitchen/diner contains a large table and 6 chairs, but extra chairs can be added to seat guests from one of the other cottages. 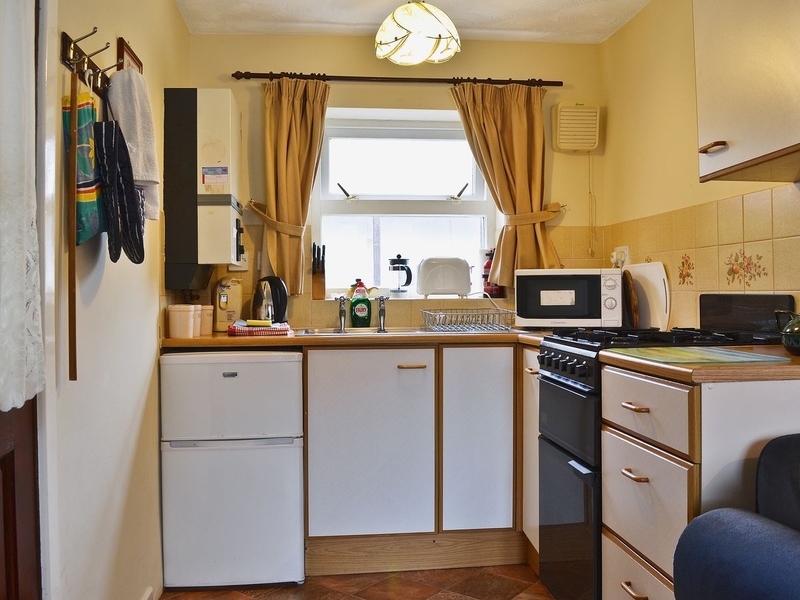 It also contains dishwasher, fridge/freezer, combination microwave oven, a full size gas cooker, and washing machine. There is also an extra toilet. Private balcony has access from the lounge. Blackbird Cottage - 1 double and 2 twin rooms, very spacious kitchen/diner and lounge. 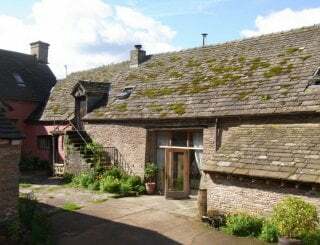 This cottage is very similar to Swallow Cottage but minus the bath in the wet-room and balcony. 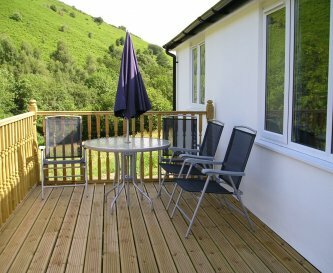 Blackbird has a patio area with table and chairs to the front of the cottage and has a large porch area by the main door. 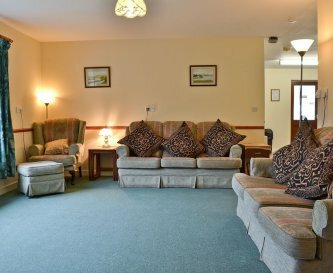 In the porch area is a "cupboard" which contains an extra washing machine and a pay phone as we have no mobile signal here. 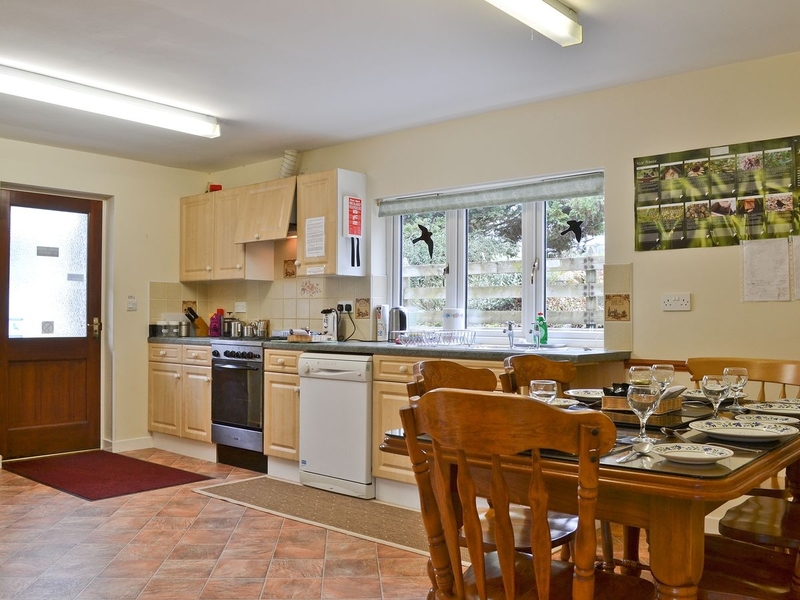 Swallow and Blackbird - dishwasher, cooker, combi-microwave, fridge/freezer. 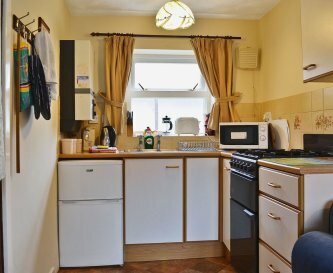 Wren - gas cooker, microwave, small fridge/freezer, kettle, toaster. Swallow and Blackbird - large table and 6 chairs, could seat 8 with added chairs from other cottage. Wren has folding table and chairs in lounge. Swallow and Blackbird - two 3-seater settees and 1 easy chair, 32" TV, stereo/CD player. Wren - one 2-seater settee and easy chair, 22" TV. 32" TV and stereo/CD players in Swallow and Blackbird. Wren has a 22" TV. These have Sky Freesat systems via a dish. A limited WiFi signal, no mobile reception and a payphone on site. Our games room contains table tennis, pool table and darts. Parental supervision for under 12s please. Heating in Swallow and Blackbird is by oil boilers and Wren's heating is by electric plug-in radiators and an electric coal affect fire in the lounge. Swallow - 1 superking, 2 twins; Blackbird - 1 double, 2 twins; Wren -1 double 1 single. 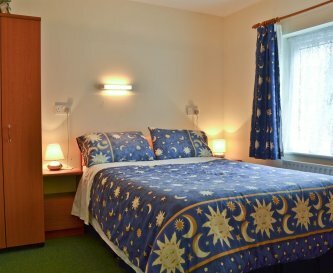 All linen and bedding is provided, plus 1 hand towel and 1 shower towel per person, bath and pedestal mats where needed. 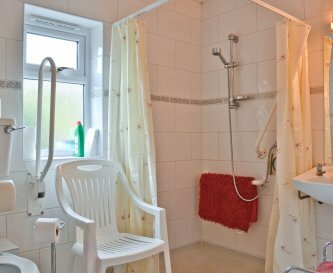 Swallow - 1 wet-room, roll-in shower, a bath, whb, wc, 10 grab rails; Blackbird - same but without bath; Wren - wet-room roll-in shower, whb, wc. 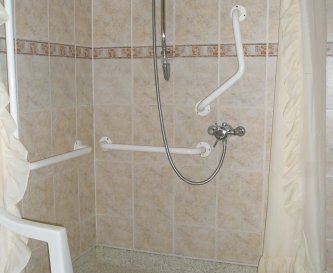 Wheelchair accessible, 10 grab-rails in wet-rooms of Swallow and Blackbird, 2 in Wren's wet-room. 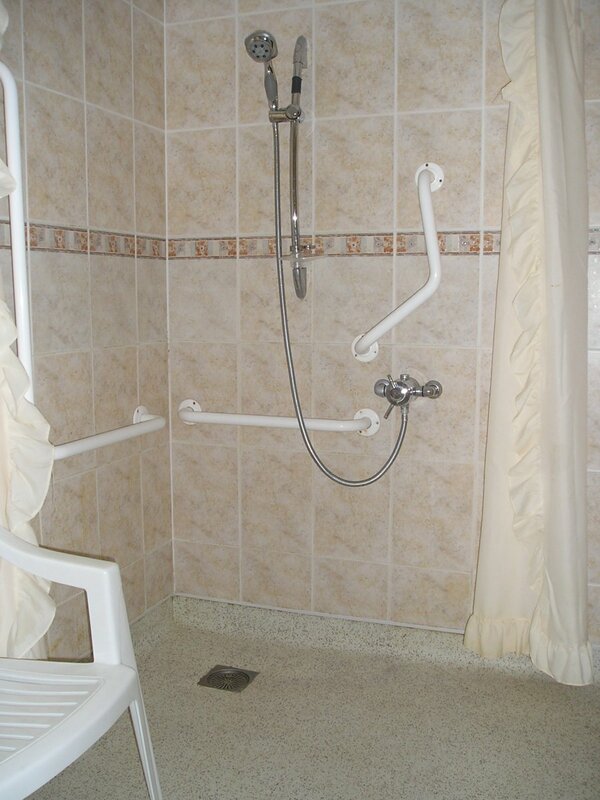 Some mobility equipment available. Hoist - £20pw. Children's play area in front of Blackbird Cottage, swing, slide. Cots and high chairs available on request. 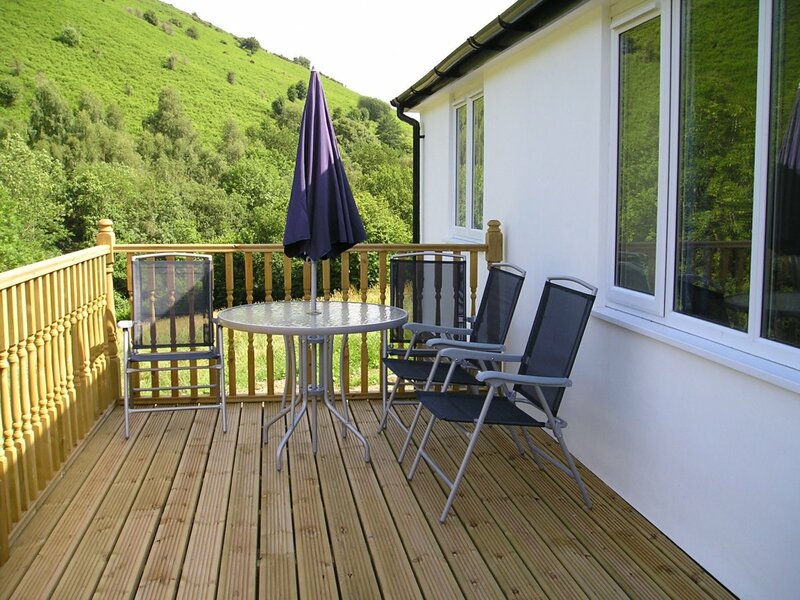 Garden furniture by each cottage, hilly countryside, very green, lots of birds and wildlife. 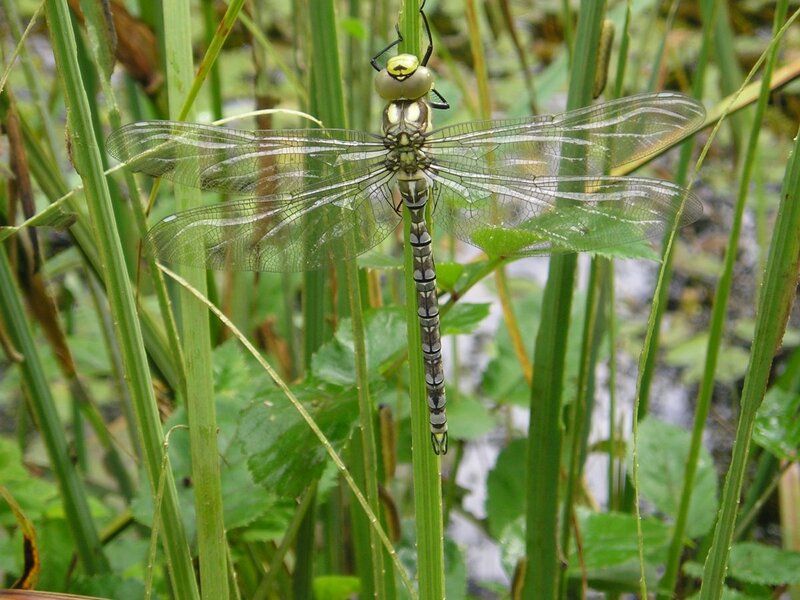 Sit quietly by the pond or in the woodland. 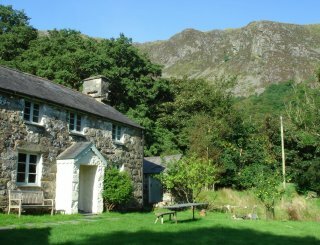 Parking is outside each cottage. No smoking inside the cottages thank you. Please do not put cigarette buts in the flower pots or throw them on the ground for us to pick up. Pets are allowed by arrangement. Maximum of 2, between £10 and £15 per week. 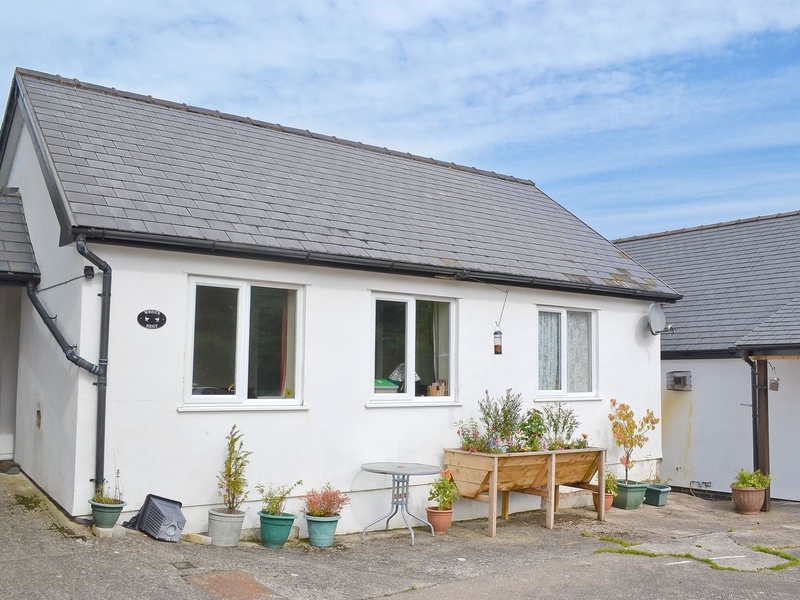 We are in a rural location, 3 miles from nearest village, pub, street light, and A458 road. 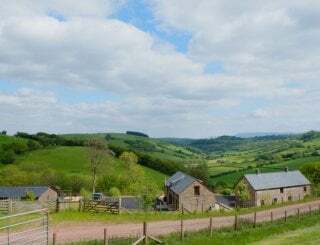 10 miles from Welshpool for main shopping, railway station, leisure centre, Powis Castle. 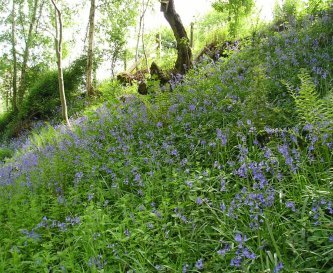 Welshpool is our nearest town, 10 miles away. Newtown is 12 miles away. 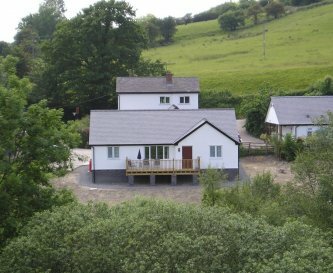 Nearest shop is in Llanfair Caereinion, our local village, plus a newsagents, petrol station, café, 3 pubs. 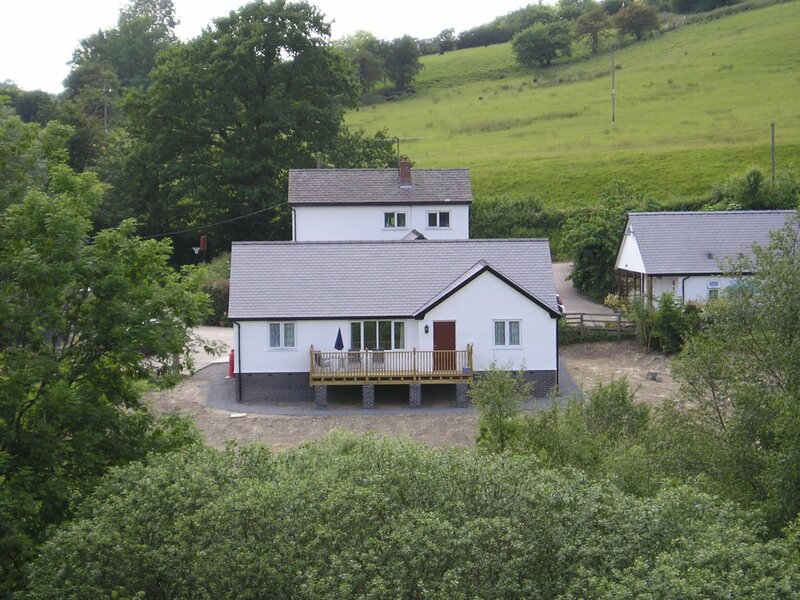 Llanfair Caereinon, 3 miles, has 3 pubs, 2 serve food at weekends, 1 serves meals at lunch times and evenings all week. There is also a café which serves meals and sells bakery products. 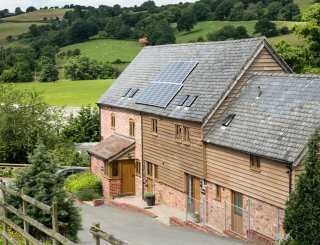 Minimum 2 nights stay, any start day, please contact us for prices for the individual cottages. 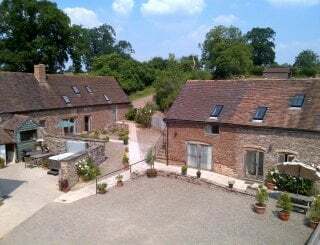 50% deposit to confirm booking, balance on arrival or earlier if you wish. Payment by BACS, cheque or cash, sorry no cards. Details for payment on request. Please keep any pets out of the bedrooms. Welshpool - 10 miles, Newtown - 12 miles. 4 airports at about the same distance from us, all about 60 miles - Manchester, John Lennon (Liverpool), Birmingham International and Cardiff.